Everything was going along wonderfully—until it wasn’t. That’s what the monied interests out in the poor Gulf of Mexico want us to believe, anyway. The truth is closer to that old scolding the seasoned alcoholic gave to the young drinker: “Why, I’ve spilled more in my life than you’ve ever drunk!” Even after 2010’s Deepwater Horizon horror, oil companies seem to spill more petroleum than we actually use. As a side note, having mentioned the following many times before here on my ULTIMATE ERROR blog, the top scientists studying global warming and related issues say that we now should be using no petroleum at all for fuel. None. Every gallon we burn—and, for the record, we burn 400 million gallons of gasoline alone a day worldwide—is another step towards irreversible environmental damage. That’s not me saying that, that’s scientists from NASA, the National Oceanographic and Atmospheric Administration (NOAA), and hundreds of other scientific organizations across the globe. I’ve gotta say that any time the topic of petroleum bubbles up. 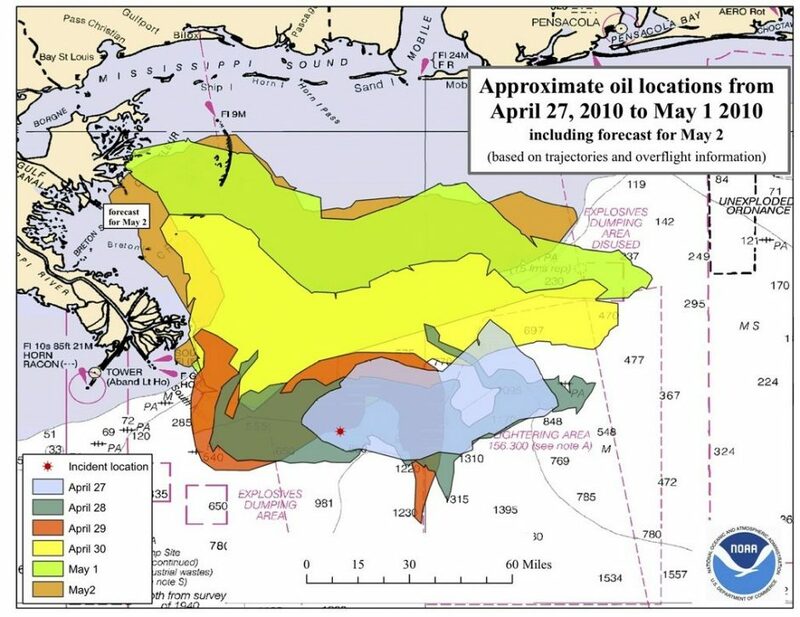 So, back to mid-April 2010, and the Deepwater Horizon rig is humming along (supposedly), sucking “Louisiana light sweet” crude out of BP’s Macondo Prospect like it’s going out of style. Except the billions of dollars’ worth of petroleum collected by BP wasn’t enough, apparently. BP, the rig operator Transocean, and the rig installer Halliburton were all found to have engaged in dangerous corner-cutting and poor safety practices so they could save a couple of bucks. This is how the trillions of dollars per year oil industry operates. Saving a few dollars on cement for the well. In the U.S. we do suffer from “out of sight, out of mind.” Unless you live on the Gulf Coast, you probably haven’t heard that a full third of the petroleum spilled by BP from Deepwater remains on the ocean floor. That comes to over 70 million gallons of oil wreaking havoc on ecosystems throughout the gulf and beyond. To say nothing of the airborne pollution from burning petroleum, threatening all of life on Earth. Sadly, the American gasoline consumer is like the drug addict: They love the product no matter how devastating the side effects—sometimes until it’s too late. My upcoming novel, ULTIMATE ERROR, is about humanity on the edge of existential catastrophe. Mammoth oil rigs with names like “Deepwater Horizon” make us feel big and strong. Kings and queens of all we survey. We can draw energy out of the ground and power vehicles as large as we want them. As daily and historic petroleum disasters prove, a measure of humility and a modicum of mature moderation would serve us well.